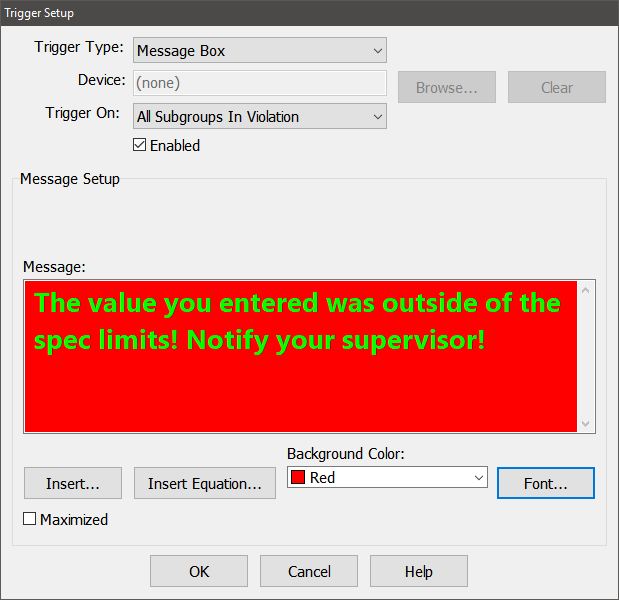 DataNet Quality Systems Knowledgebase :: How can I customize the message box trigger? How can I customize the message box trigger? 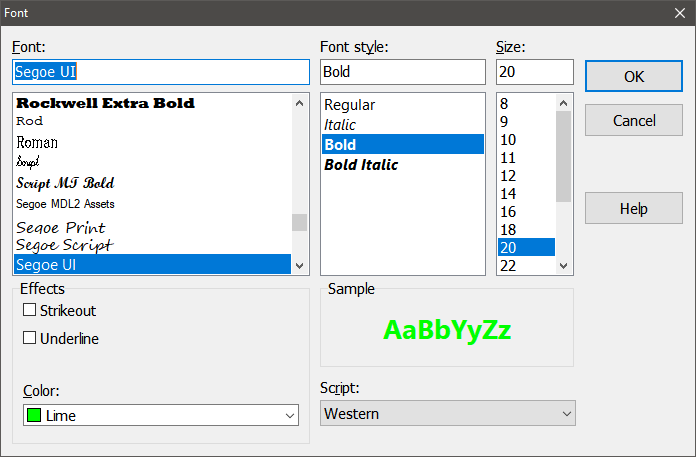 To change the background color of the message box, select the desired color from the "Background Color" drop down. To cause the message box to display full screen when it is displayed, enable the "Maximized" option. If this option is not checked, then the message box will size itself to the text that it contains. How can I customize a trigger e-mail notification? Is there a way to automatically capture and disseminate the raw data that caused a violation? What kind of information can I put into a message box trigger? How do I configure WinSPC to prompt the operator for information when a subgroup is out of control? Post Comment for "How can I customize the message box trigger?"